> My great old mate Alex sent this advertising picture to me a few years back and I’ve just found it again. 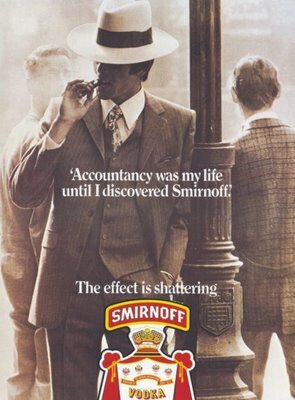 a 1971 advert for Smirnoff. A classic picture and the tag line is just awesome. We who have drunk copious amounts know that at certain points in our lives we could have taken the wrong path and headed into some other kind of oblivion.